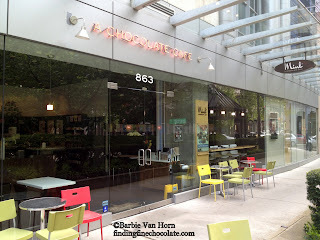 I had a little adventure to Vancouver BC just a few weeks ago and found a Mink Chocolate shop after following their A board signs. 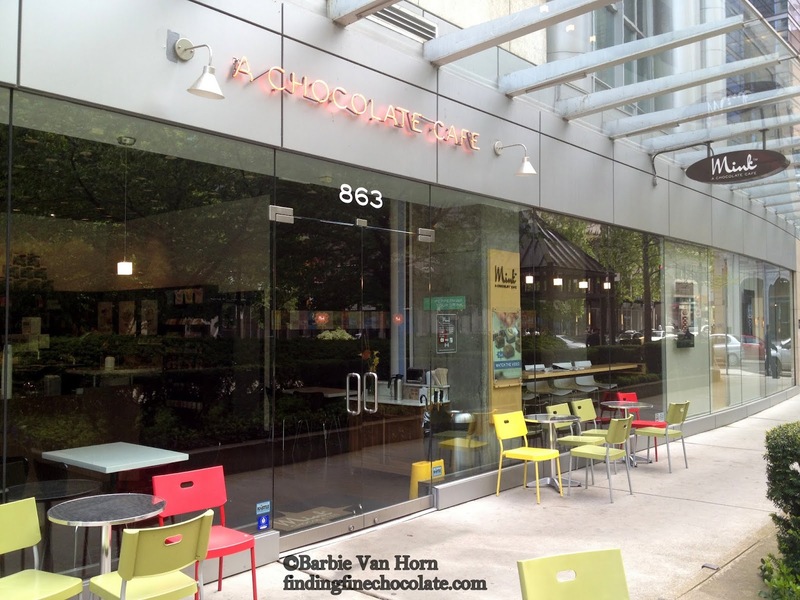 Mink specializes in hand made ganache filled chocolate bars made with fresh ingredients. Their ganache filled bars are a neat and tidy way to carry about a dozen litte bite sized ganache filled, enrobed truffles all connected in one bar so that you can break off just what you want and save the rest. Very clever. The shop is filled with colorful packages of Mink bars everywhere you look plus their decorated truffles. I didn't have time to try a fondue or drinking chocolate, wish I had! Mink bars and confections are perfect for the type of person who likes to get a little creative with chocolate truffles.. The "Open in Case of Emeregency" bar. I bought it for my husband thinking he would like the Bourbon and mint flavor. He liked it a lot...and I barely had a taste myself! The location that I visited is downtown Vancouver"On the Park"
Bonus! They ship anywhere in the world! P.S. My memory must be failing me. In the video I mentioned that I might have seen a bar with curry at the Mink shop I visited. Now I am searching their web site and can't find any Mink bars made with curry. Mink has many more delicious flavors that I can't wait to try. (my next one will have to be Love Potion with roasted banana, dark rum, and lime). I've learned my lesson too, don't wait too long before posting about a great place I've found AND take better notes! I was in such a hurry that day that I didn't take any notes at all.